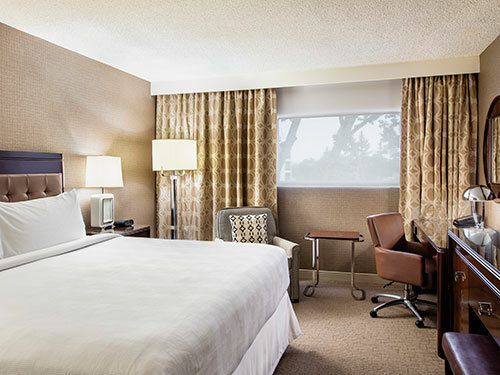 Located in the heart of vibrant Red Deer, a bustling urban centre, at Cambridge Red Deer Hotel & Conference Centre we welcome our guests with gracious hospitality by providing our signature comforts for your pleasure and convenience. Feel refreshed in our 241 beautifully designed guestrooms and suites offering contemporary décor and spacious surroundings. Soak up the view in one of our Jacuzzi Suites or feel like royalty in our Presidential Suite. From bi-level suites to Club Rooms, we have the perfect space for you. We also have wheelchair accessible and pet friendly rooms available upon request. Our 45,000-gallon Indoor Pool and Whirlpool can be used year-round. Our pool deck features lounging and shower areas, change facilities, and poolside food and beverage service from our Garden Terrace Lounge. Adjacent to the pool is a seasonal outdoor courtyard perfect for pool parties and BBQ's. 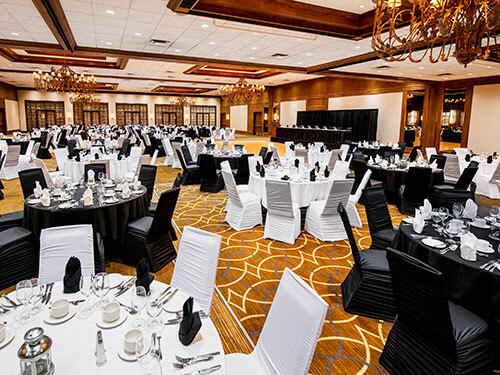 Whether you’re planning an intimate event or a large‑scale tradeshow, Cambridge Red Deer Hotel & Conference Centre fits the bill. 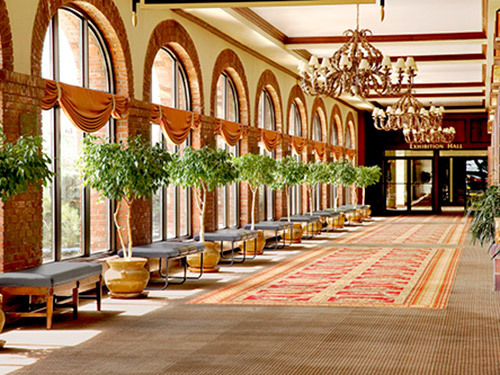 We are Central Alberta’s largest meeting space and full‑scale conference centre spanning 55,000 square feet and easily accommodating up to 2000 attendees for events of all types. 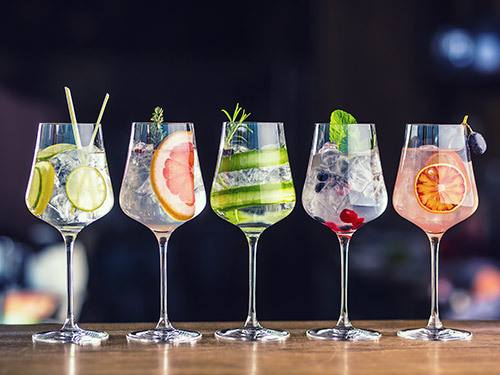 Located on the upper floors of the Cambridge Red Deer Hotel & Conference Centre, our exclusive Club Lounge and spacious Club Level Rooms offer sweeping views of the city and upgraded amenities for our guests. Our Club Lounge welcomes guests 24 hours a day with complimentary deluxe continental breakfast, evening hors d’oeuvres, and snacks and beverages available at your convenience. It's the place to connect with colleagues, friends and family. 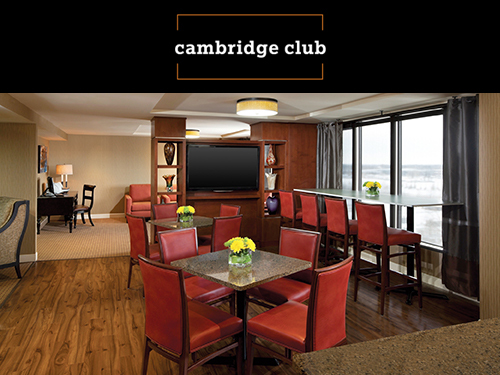 Whether for business or for fun, the Cambridge Club Lounge has the amenities you desire. An array of dining options is available at the Cambridge Red Deer Hotel & Conference Centre. From intimate evenings to a celebration brunch, R&R Grill is the perfect place to indulge your cravings. Grab a quick snack and a cup of gourmet Starbucks coffee or cappuccino at our legendary Joe’s Deli. Garden Terrace Lounge is the perfect spot for after gatherings, drinks, and meals with its luxurious atmosphere and great views. 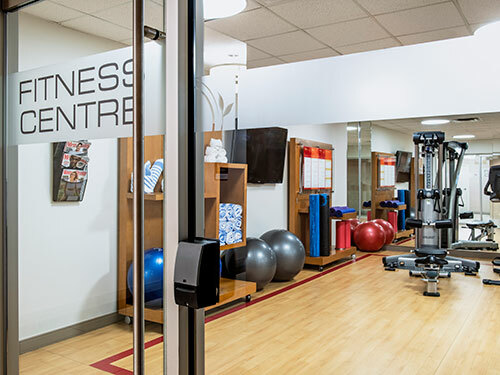 Staying fit has never been easier with our state-of-the-art fitness facility. Open 24 hours a day, 7 days a week, guests can stay fit while on the road with a selection of treadmills, elliptical trainer, a weight machine and free weights. Post workout give your sore muscles a break in our sauna and steam room. In the heart of the lobby is Cambridge Connect where guests come together to meet, connect, and relax. 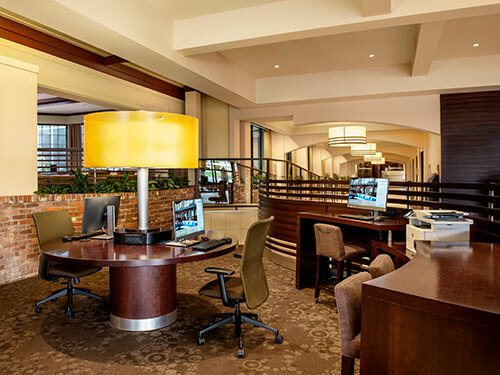 Complimentary amenities are available 24 hours and include fully-wired workstations, free WiFi, newspapers, printing services, TV, and a pleasant setting to come together. Grab a snack, catch up with colleagues, or get down to business in the communal style atmosphere with comfortable seating and semi-private spaces. There’s a comfy chair waiting for you. Here at the Cambridge Red Deer Hotel we constantly strive to give our guests a great experience that makes them feel at home in a warm and connected community. 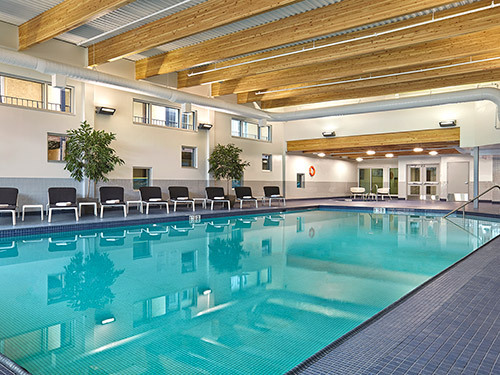 Find out what’s new and exciting at the Cambridge Red Deer Hotel & Conference Centre! Side Street Fashion and Accessories is where luxury and casual meet. 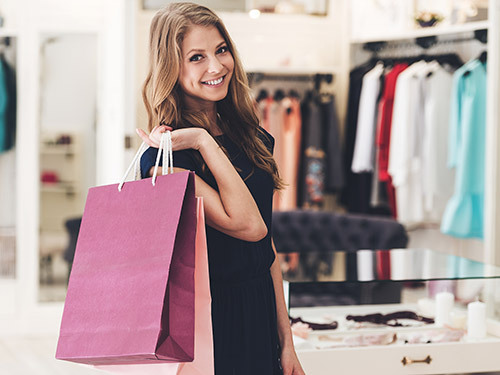 A relaxed environment perfect for browsing high quality ladies’ fashion and accessories that escape the ordinary, and provide knowledgeable service that exceeds all expectations. Pamper yourself with a full hair and beauty treatment at our onsite Capri Salon. Feel fabulous with a variety of aesthetic services including manicures, pedicures, paraffin treatments, make-up applications, and hair styling, cuts and colors. Walk-ins welcome! Call 403.342.6262 to book your appointment. Bellini’s Sonic Lounge is Red Deer’s most popular contemporary lounge and nightclub. Relax while watching the game from comfortable couches, then dance the night away to the latest hits. Experience local flare at Longriders, the hotel's saloon and dancehall - Red Deer's favourite country music destination. Be sure to try your luck at our VLT Lounge and Gaming Centre featuring blackjack, poker, and more. 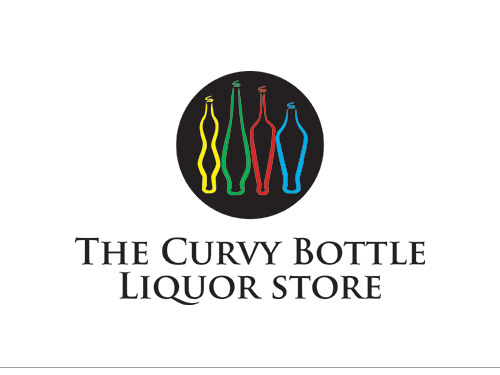 The Curvy Bottle Liquor Store located on the South East side of the Cambridge Red Deer Hotel & Conference Centre offers top beers, liquors, and wines from around the world. Open 7 days a week. The World’s Fastest Charging Station is now at the Cambridge Red Deer Hotel & Conference Centre! 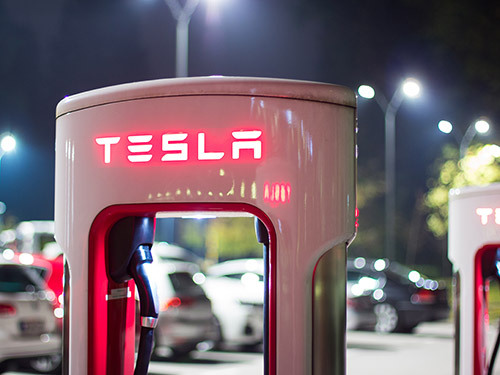 Our 4 Tesla Supercharges are free connectors available 24/7 and are strategically placed in amenity rich areas to minimize stops and get you back on the road faster than ever.